Thank you - your free stock photo download is on its way to your Inbox! This guide will help you figure out exactly what to post on Instagram so you can use your Instagram posts to drive more traffic to your website, more engagement from your followers, and more revenue in the bank! 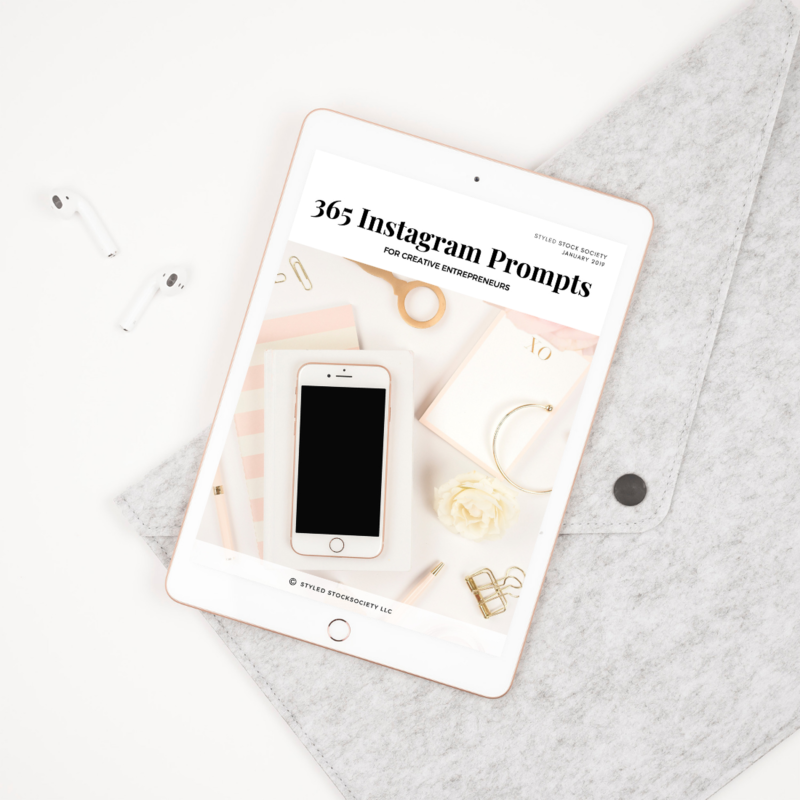 This guide contains 365 Instagram caption prompts so you never have to worry about what to post on Instagram again! Perfect for creative entrepreneurs (both service-based and product-based) who want to use Instagram to market their business. Prompts are organized into categories including: All About You, Playing Favorites, Behind the Scenes, Market Your Business, Client / Customer Features, Grow Your Engagement, Weekly Series, National Days. Prompts are ideal for use on Instagram, but can also be used on other social media platforms! PLUS: you'll get a set of 30 MORE free stock photos to go along with your captions! EXAMPLE: Ask a “this or that” question - this is an easy way to poll your audience, get feedback, and get more engagement. Pro-tip: use the poll feature on Instagram stories to do quick surveys!. Get 50% just for the next 20 minutes. This is the only time you’ll ever see this price so grab yours now!